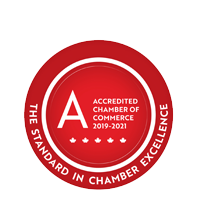 Ontario Chamber of Commerce | Chamber of Commerce - Business Directory - St. Thomas & District Chamber of Commerce - ON, ON ? Through focused programs and services, the OCC enables companies to grow at home and in export markets, providing exclusive support, networking opportunities, and access to innovative insight and analysis for members. The OCC has approved over 1,300 applications through its export programs and companies have reported results of over $250 million in export sales. The OCC undertakes important research on Ontario’s most pressing policy issues, advocating for solutions that will foster the growth of Ontario businesses and lead to the creation of jobs in the province. This work is based on the belief that strong businesses are the foundation of a prosperous Ontario. As a strong collective voice representative of its Chamber Network and members, the OCC continuously assesses its effectiveness and searches for opportunities to innovate, collaborate and partner. The OCC continues to ensure that the issues and concerns of Ontario businesses are not only heard but sufficiently addressed through a strategic and collaborative approach with the Ontario Government.